Established by signing Memorandum of Association between KCA Deutag and SOCAR AQS last year, Turan Drilling & Engineering provides services for drilling and engineering of oil and gas wells in the Caspian region and certain other parts of the Central Asia region. 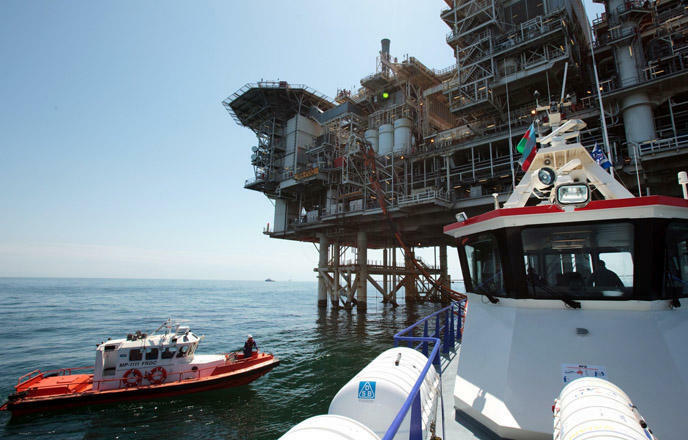 The UK based company KCA Deutag, operating in Azerbaijan since 1995, offers design, construction support, platform services, commissioning and brownfield engineering services through its RDS and Offshore business units. The company’s contract with BP envisages drilling and rendering maintenance services for seven BP platforms at the Central Azeri, East Azeri, West Azeri, Chirag and West Chirag, Deepwater Gunashli and the Shah Deniz gas condensate field. ACG is the largest oil and gas field in the Caspian Sea, covering more than 432 square kilometers. A contract for the development of ACG block of oil and gas fields was signed in 1994 for 30 years. Oil extraction from the field began in November 1997. Proven oil reserves of ACG block of oil and gas fields are estimated at 1.2 billion tons, while gas reserves make 350 billion cubic meters. On September 14, 2017, a modified and re-developed agreement was signed on joint development and shared distribution of production from the Azeri, Chirag fields and the deepwater part of the Gunashli field (ACG). The new agreement provides for the development of the field until 2050. The new ACG participating interests come as follows: BP - 30.37 percent; AzACG (SOCAR) - 25 percent; Chevron - 9.57 percent; INPEX - 9.31 percent; Statoil - 7.27 percent; ExxonMobil - 6.79 percent; TP - 5.73 percent; ITOCHU - 3.65 percent; ONGC Videsh Limited (OVL) - 2.31 percent.